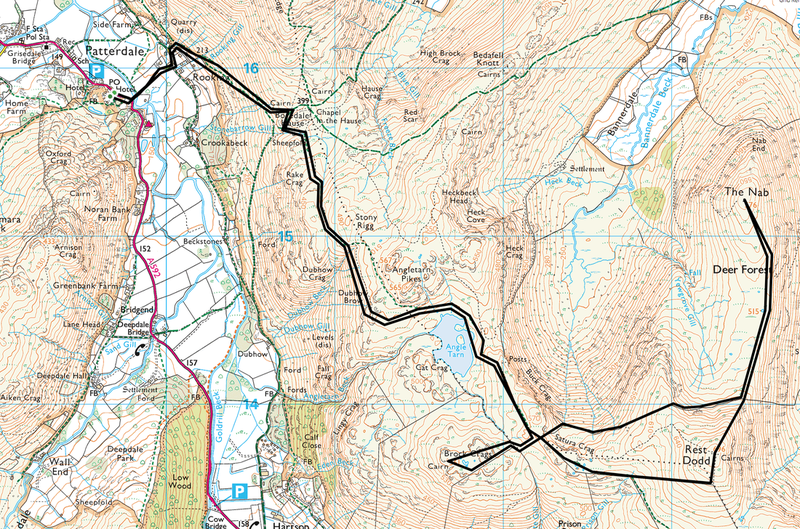 Mainly good paths although the area between Rest Dodd, The Nab and Brock Crags was sometimes pathless. 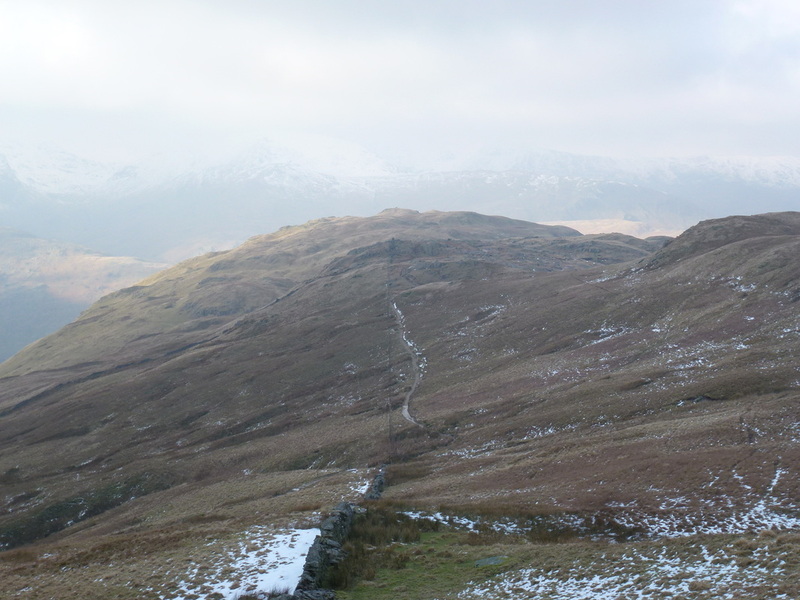 The transit from the lower wall from Rest Dodd to The Nab is notorious for the peat hags but they were frozen over today making progress easier. 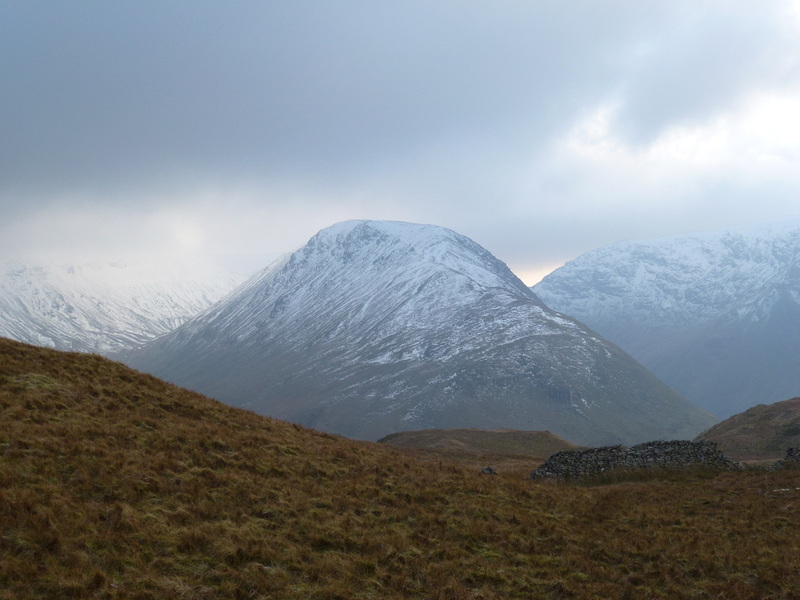 Very cold and overcast with snow on the Summits and approaches. 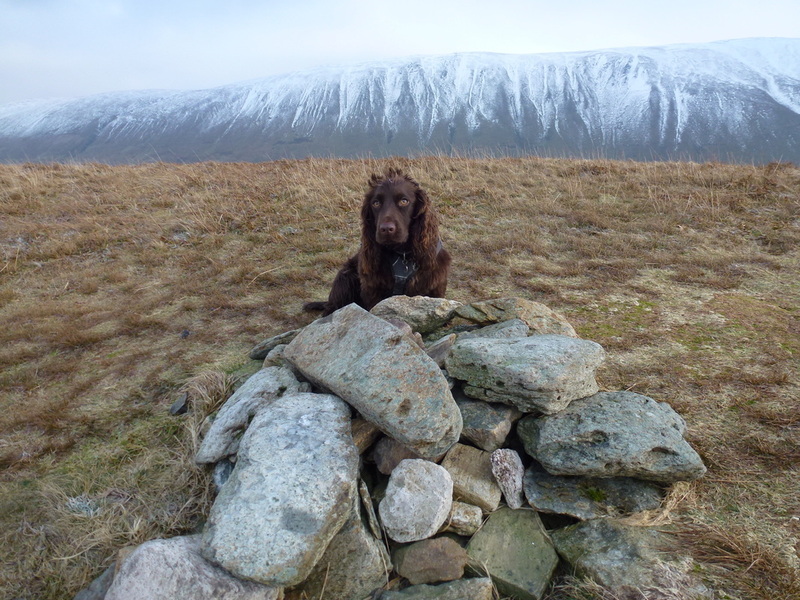 The 3 fells climbed today were ones we had been attempting to do for a long time and with the ground being frosty we were confident we could have an enjoyable transit over The Nab's notorious peat hags. 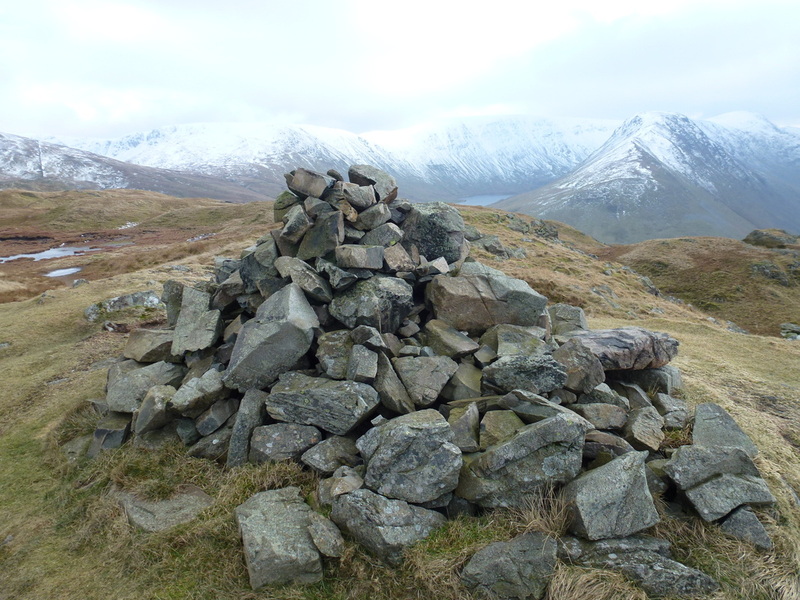 These 3 tops were the remaining Wainwrights of the Far Eastern Fells and, as with the other fells were thoroughly enjoyable. 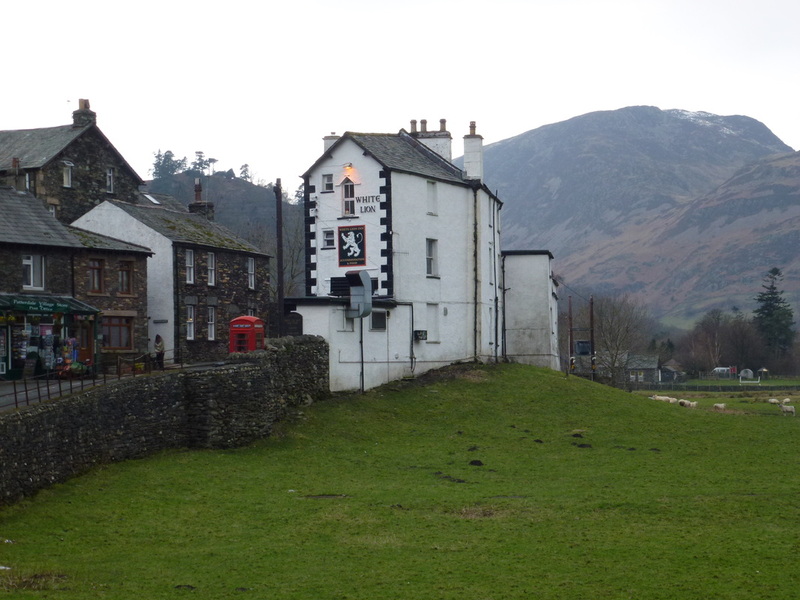 We arrived in Patterdale just before 9 o'clock and managed to secure one of the parking berths in the lay by just opposite The White Lion. 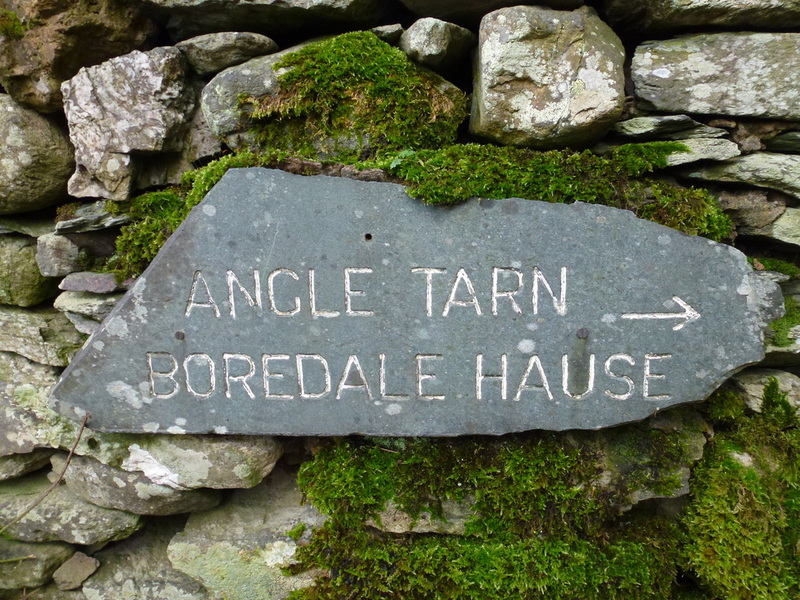 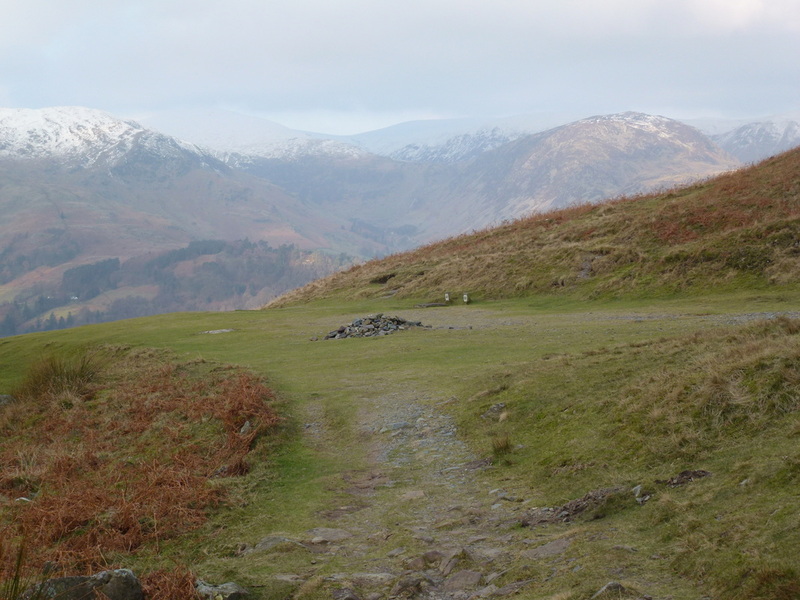 We then made the transit up to Boredale Hause which we took our time over as the views are superb all the way up to the grassy area of the Hause. 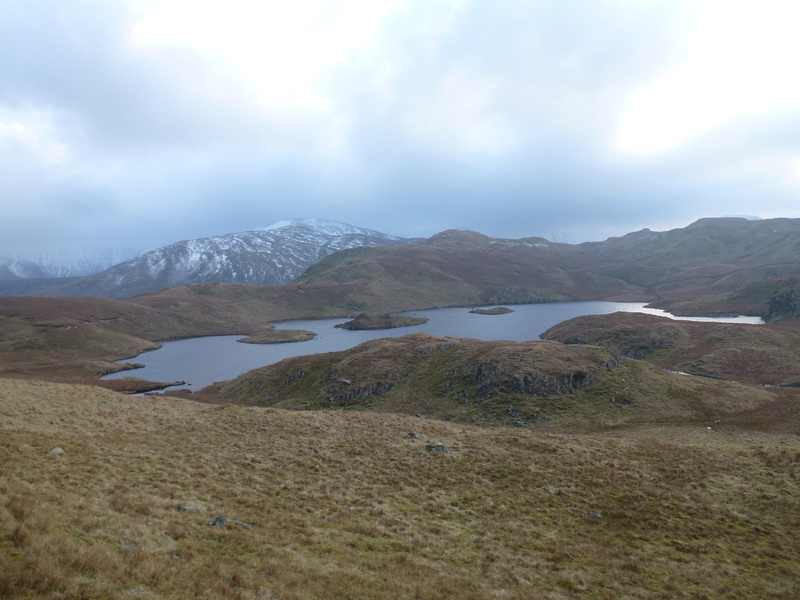 The path then levels out and it is a gentle transit over to the idyllic Angle Tarn where we enjoyed the solitude of this lovely tranquil part of the route. 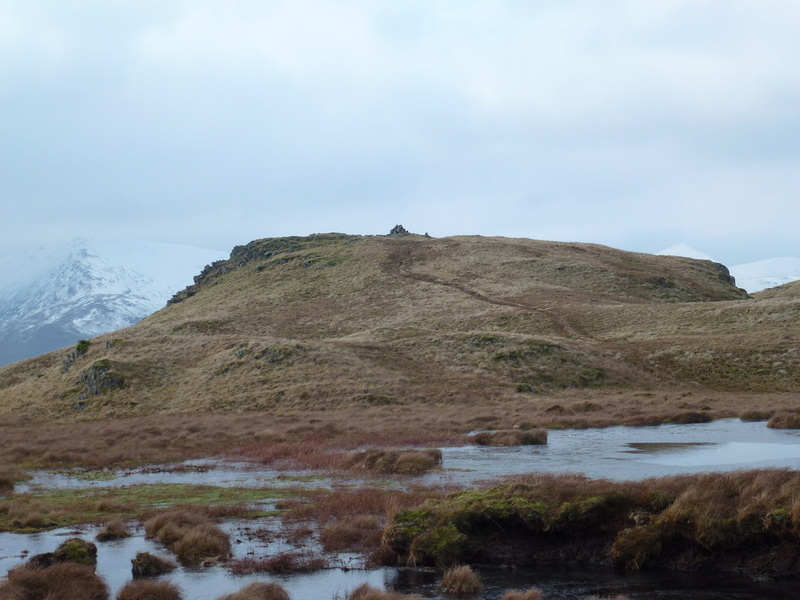 From the tarn we made our way up to the old gate posts that mark the route over to either Rest Dodd or turning right for Brock Crags. 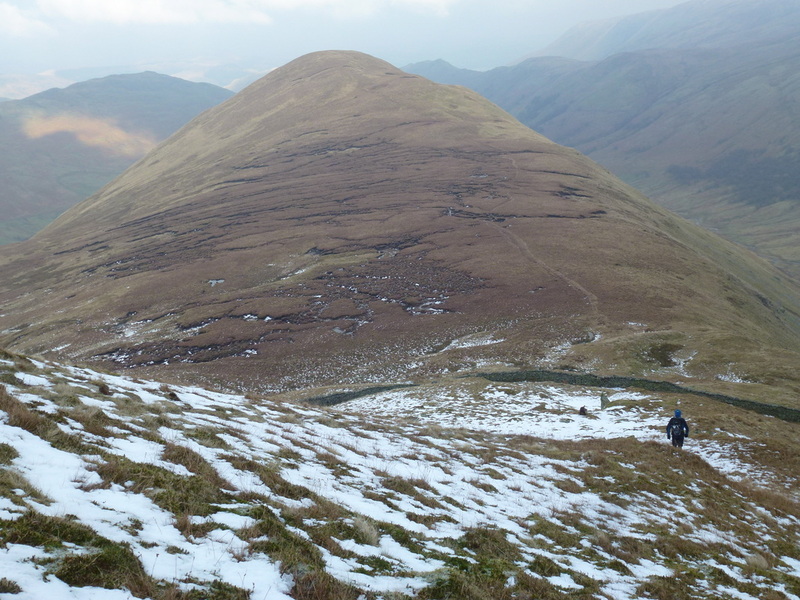 The route ahead to Rest Dodd looked quite intimidating with no path as such because of the snow but we simply followed the wall up until we were roughly level with the summit and then turned left to reach the Summit Cairn. 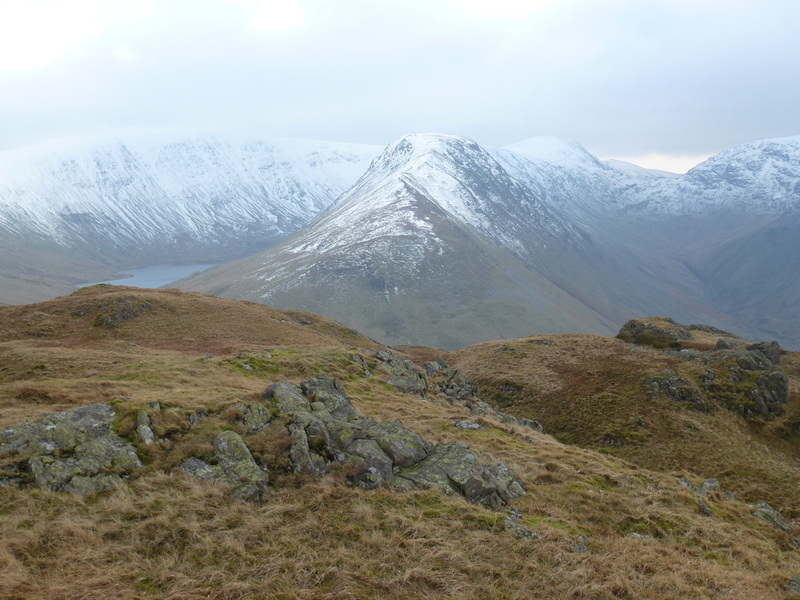 From Rest Dodd the route to The Nab was clearly visible as were the peat hags and as we made our way over them we were glad of the recent frosty weather as they had made the ground very hard making them easy to cross. 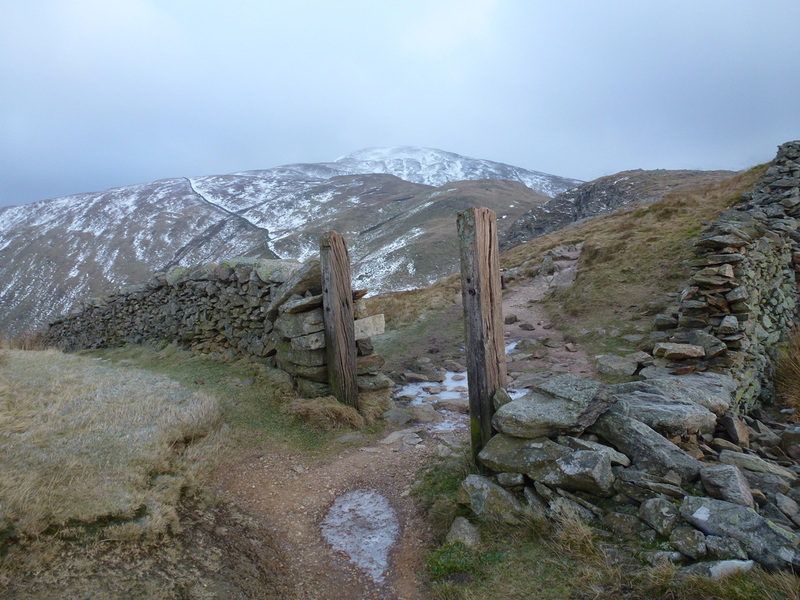 The summit gained we made our back the same way but turned right at the lower wall to make our way over pathless ground to the gate posts we encountered earlier. 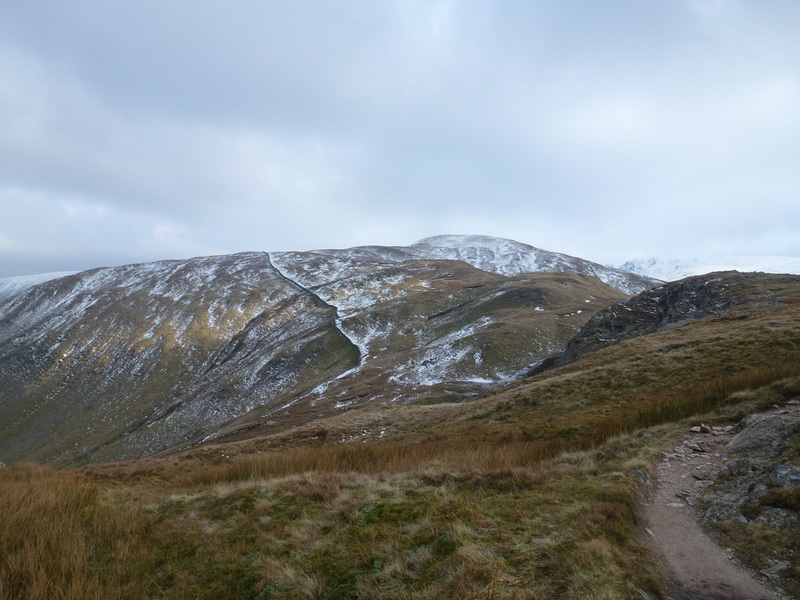 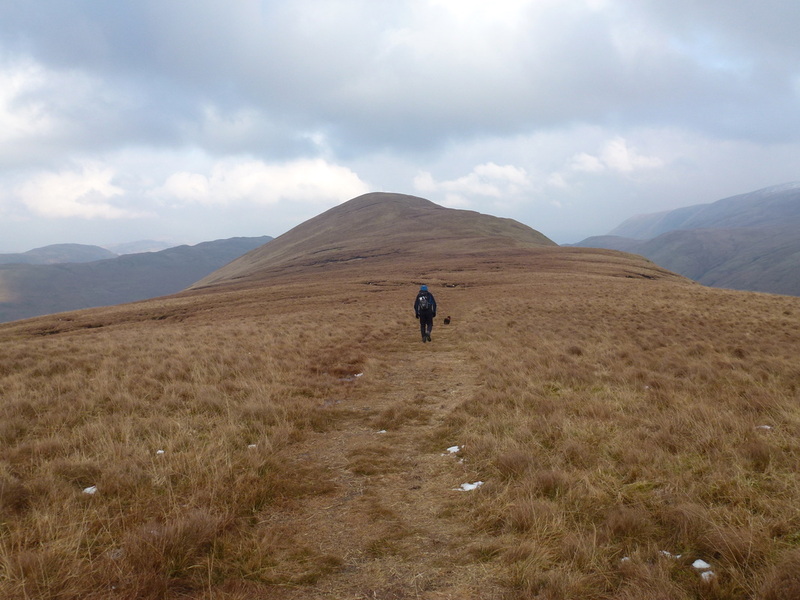 The route over to Brock Crags is clearly evident and this is a delightful stretch over to the Summit. 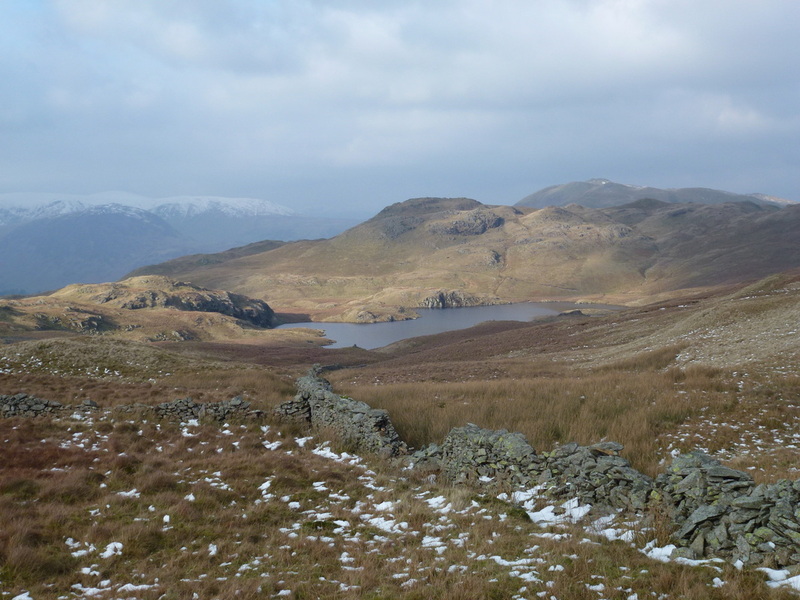 From Brock Crags we rejoined the route to the gate posts and made our way back to Angle Tarn, Boredale Hause and subsequently Patterdale. 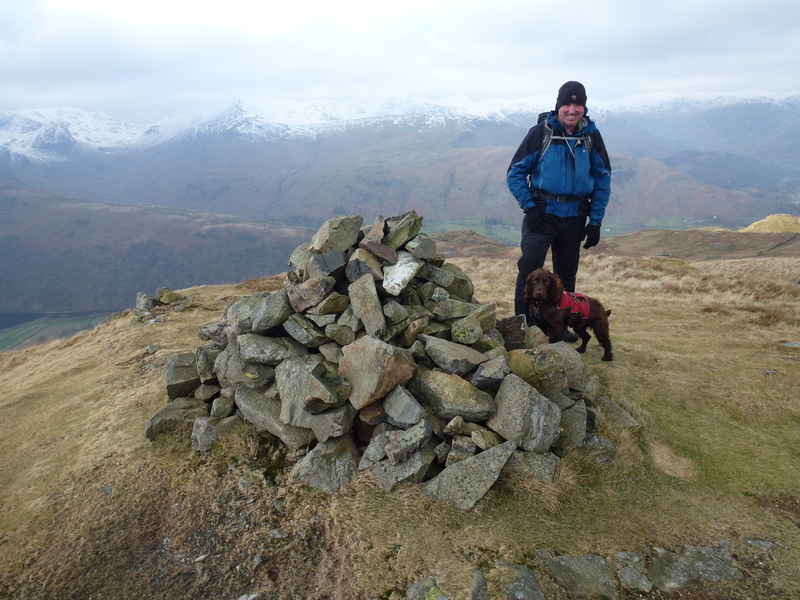 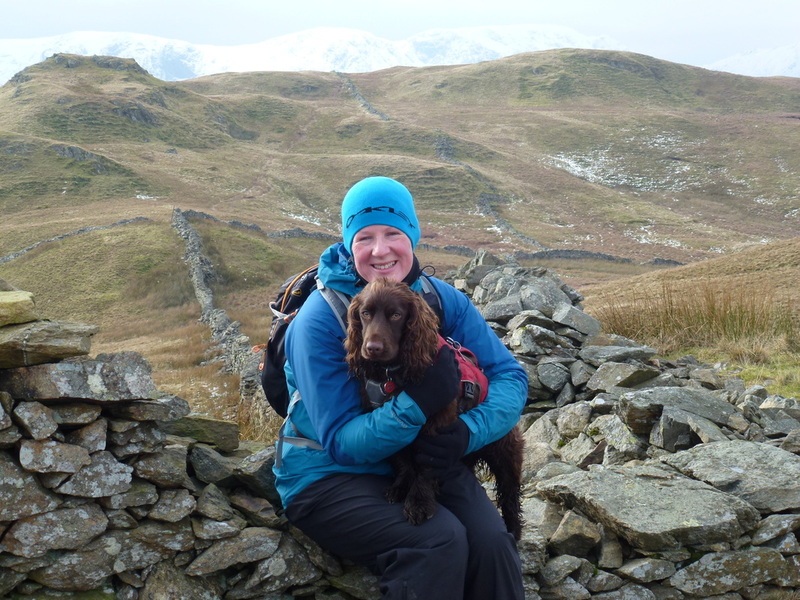 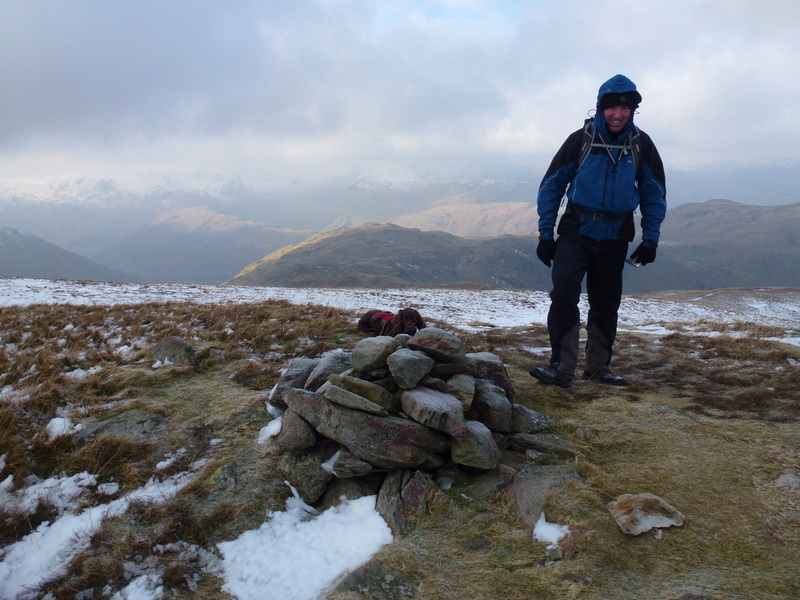 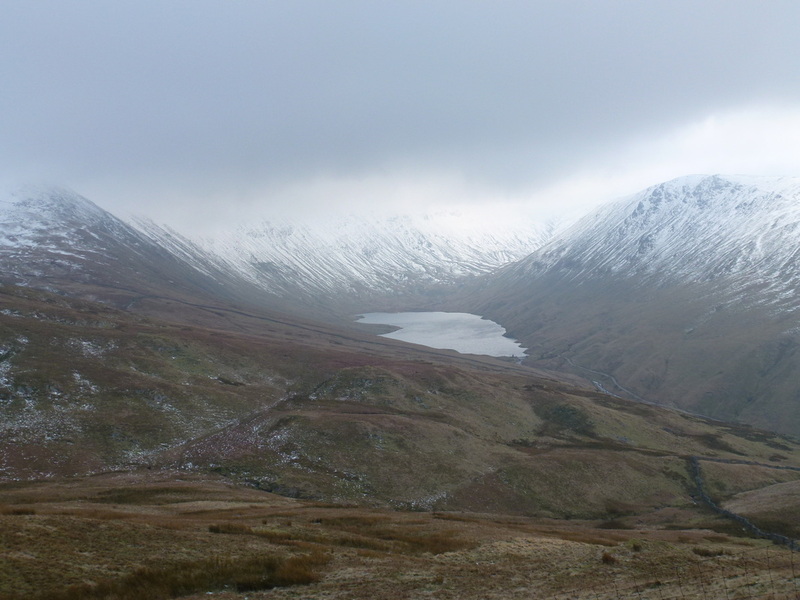 Another good day out on the fells in snowy conditions. 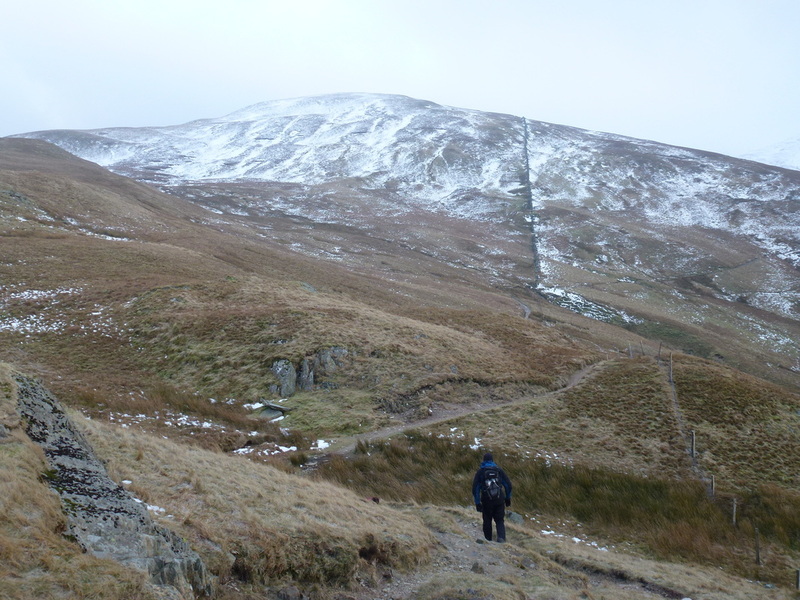 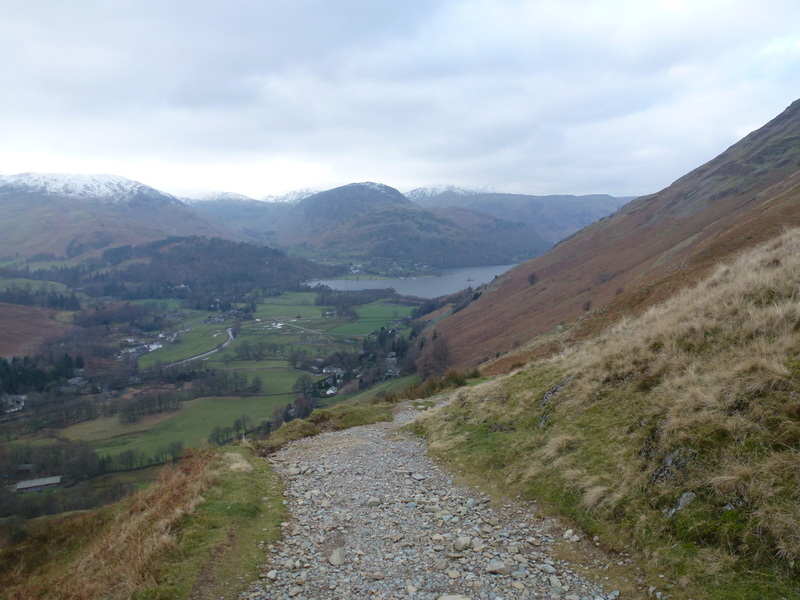 Looking at our route of descent from the lower wall between The Nab and Rest Dodd.